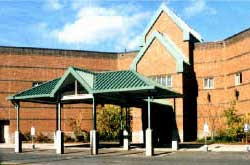 MacDougall-Walker Correctional, where Howell is housed. You have no doubt heard of the bestselling book, Tuesdays with Morrie. It is a memoir of sorts, in which the author chronicles his weekly visits with a terminally ill college professor. As I left the MacDougall-Walker Correctional Institution last Monday, it occurred to me that the next two years of my life could be aptly described as Mondays with Bill. 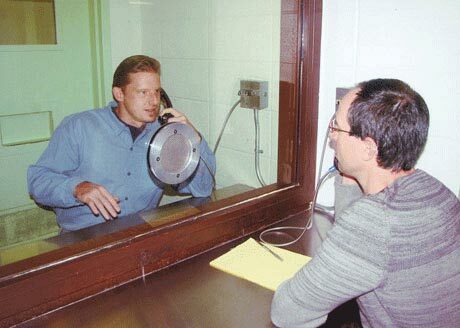 That's because I promised serial killer suspect William Devin Howell in our initial face to face meeting that I would visit him from this point forward on the first Monday of every month. Howell has not had a visitor in over three years. He wrote one short letter in response to a local TV reporter's inquiries. That letter was passed on to a psychologist who read it and concluded that the serial killer suspect was trying to "humanize himself" to the TV viewers. Otherwise, I have been Howell's sole connection with the outside world, with only two exceptions: a woman who wrote him early on and said that she was interested in writing a book about him, but soon after stopped writing (perhaps realizing that she was in over her head); and a man whom Howell describes as a "psycho" from out of state, who writes and expresses great interest about the crimes that Howell has been charged with committing. I began written correspondence with Howell last July. To date, he has sent me over one hundred pages of handwritten letters. Sometimes he sketches blueprints of holiday-themed crafts that he makes in his cell to kill the time: a Christmas tree made from the shiny red foil of potato chip bags and pen cartridges, and shriveled up oranges with Jack O'Lantern faces, for example. I often read his letters on lunch break at work. My paralegal eyes me thumbing through the pages and licking peanut butter from my fingers and cringes with disgust. "Ew! You don't know what's on those pages!" She's right. I don't know what is on those pages, other than the DNA of a man accused of murdering seven individuals, some of whom were brutally raped, and leaving their remains to rot behind a strip mall in New Britain, Connecticut. So yeah, it is kind of gross when you think about it. Engaging in a relationship with a serial killer suspect for the purpose of gathering information for a future true crime novel is not an endeavor that will win a person any popularity contests. For the most part, people who enjoy the true crime genre post encouraging remarks on my Serial Murders in Connecticut Facebook page. But there are always the private messages that the public does not see; the, "How can you give this monster any attention? Have you no shame? You are so naive if you think he is anything except evil" type of sentiments. Strangely, I never said he was anything but evil. Truth is, on an ethical level I do struggle with writing about Howell. There is something reprehensible about spending time with a serial killer suspect and potentially making a profit off the pain inflicted on the victims and their family members. The true crime genre started with Truman Capote's masterpiece, In Cold Blood. It tells the story of the murders of four members of a wealthy wheat-farming family in Kansas back in 1959. The author didn't just write about the two killers, Perry Smith and Richard Hickock- he got to know them. Some say Capote was infatuated, perhaps in love, with Smith. I can assure you, I hold no romantic feelings for Howell. Early on, I was afraid of him and I had nightmares of being attacked. As of late, I feel only a kind of clinical curiosity. I told him in one letter that I want to know "what makes him tick." And I truly do. Christian Longo and author Michael Finkel. Countless others have gone on to write about real-life killers that they actually got to know. New York Times journalist Michael Finkel initially liked wife and child murderer Christian Longo, and hoped that the Jehovah's Witness who claimed innocence was telling him the truth. Over time, Finkel's feelings changed to horror and disgust as he accepted that Longo was nothing but a heartless psychopath who could tell lies like some people discuss sports or the weather. 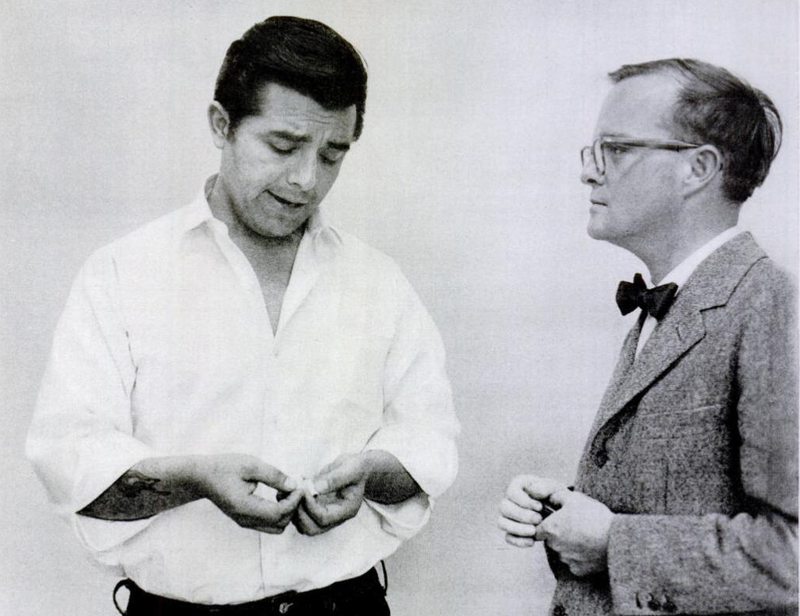 Family-killer Perry Smith and Truman Capote. Back to last week's visit with Howell; we were separated by glass and spoke on blue phones that recorded our conversation. His lawyers are not happy about his choice to write me and meet with me, but he tells them that it's his life. 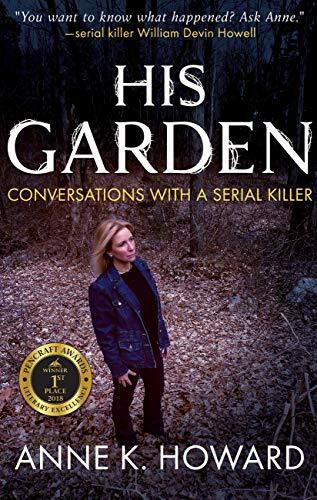 We are an odd pair, to be sure: I am an artificially blonde Social Security lawyer on the cusp of fifty; Howell is a high school drop-out from Virginia who may turn out to be one of Connecticut's most prolific serial killers. Hard to believe that we spent the entire hour engrossed in conversation- but we did. Much of our discussion seemed pointless: discussing books by John Saul, and the habits of birds that Howell feeds in the outside recreation area, more like a concrete cubby hole, each morning. Did we discuss the current allegations? Briefly. Howell explained his decision to waive a probable cause (PC) hearing last week. His main reason for wanting to go through with it was to let the court and the public know that Jonathan Mills, the convicted killer expected to provide key testimony against Howell, was being given a $150,000.00 award for doing so. The State has not given any indication that it will waive that award, or apply it to Mills' incarceration fees. I asked Howell why Mills would be so interested in the cash, since he will never see it because he has a life sentence for killing two women and two children in 2000. Howell argued that Mills probably wanted to give the money to friends or family on the outside. "That money could buy his mother a nice little house," he said. Well, that's true, but it involves the assumption that Mills gives a damn about his mother, or anyone else on the outside, for that matter. When Howell found out from his lawyers that the potential self-interest of Mills would be made clear to the court and the public via legal filings and media reports even without a PC hearing, he realized that going through with the PC hearing was not worth it. It was a good decision, in my opinion, as PC hearings are well known vehicles for the State to present its evidence long before trial and thus permit a defendant to be tried by public perception before a proper adjudication takes place. There is also the issue of changing venue. I suspect that Howell's attorneys will request that the case get removed from the jurisdiction of the New Britain Superior Court in the near future. New Britain is not exactly Mayberry, but it is a small New England city where people talk and also drive past the crime site with frequency. Until the final verdicts are rendered, I will continue to have my Mondays with Bill. We will discuss birds, and holiday decorations and memories from his childhood because, when writing about a serial killer suspect, the devil really is in the details. Do I think Howell is guilty? My opinion does not matter. That's for a jury to decide. I am aware of some of the prosecution's forensic evidence, and witnesses who will testify against Howell at trial. The defense has an uphill battle to fight, to say the least. That said, Howell, like any other American, deserves his day in Court and you can bet that I will be there to observe the drama as it unfolds.